This guide has been written for the business leader or analyst who would like to identify or measure those critical CX measurement points that provide feedback on the health and success of a CX initiative. 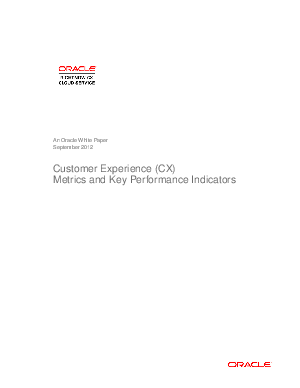 This guide is intended to familiarize you with important CX measurements and Key Performance Indicators (KPIs) along with providing a definition and a method to calculate their value to your business. In many respects, this could be considered a dictionary of CX KPIs.